Slitherine's The Longest Day (apk) is the latest game in the Frontline series, a Normandy-focused turn-based strategy wargame. 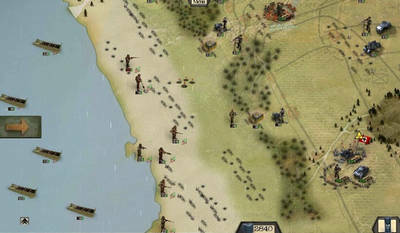 Your mission is to take a small landing force and create a beachhead against a large, heavily fortified German force. - Land, and aerial combat: all units have strengths and weaknesses encouraging different uses, adding an extra strategic layer to the game. There are over 80 of them! - Units will upgrade throughout the game, based on combat success and experience. - Complex combat mechanics and special abilities for all units such as: Flanking manoeuvres, encirclements, suppression, combat fatigue, penetration, deflection, removing landmines, artillery support, airstrikes, transport, sandbags, march, APCR ammunition, incendiary grenades, smoke grenades, artillery barrages, reinforce & resupply. - Maps are created to reflect the real terrain and their dramatic impact on the historical situation. - A unique visual style using detailed and realistic units representations. - More than 400 Game-Play Turns! 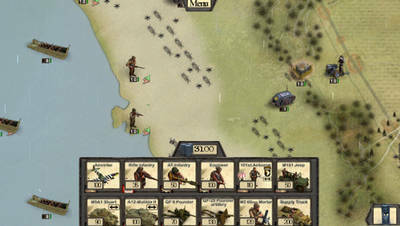 The Longest Day is the new title in Slitherine's Frontline series of accessible World War 2 strategy games. This is a different beast from games like FRONTLINE COMMANDO WW2, so don't get confused. Install Apk, copy ‘com.slitherine.frontlinetld’ folder to sdcard/Android/obb/, Launch the Game and play!